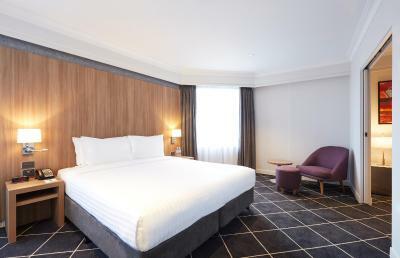 Lock in a great price for Holiday Inn Darling Harbour – rated 8.1 by recent guests! new room 8th floor. location & staff was good. Very quiet hotel at night. 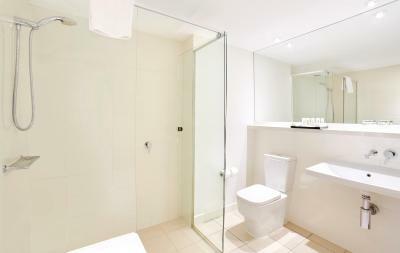 Excellent location with easy walking distance to Circular Quay. Room available earlier than expected which was great due to long over night flight and needing a shower. Big room n very good breakfast with good choice for everyone.Very good location,close to Darling port n Chinese city market for any souvenirs that you can buy in all shops around the city,but there in half price. Great size room, very comfortable bed and all necessary amenities provided. Choice of pillows, firm or soft. Great location. Very happy. Excellent location close to all modes of public transport and restaurants in the Chinatown area that open till 10pm - Very useful when one is jet lagged. Fast wifi in the rooms. Reception Staff and the staff at the breakfast buffet were very helpful. Walking distance from central station. 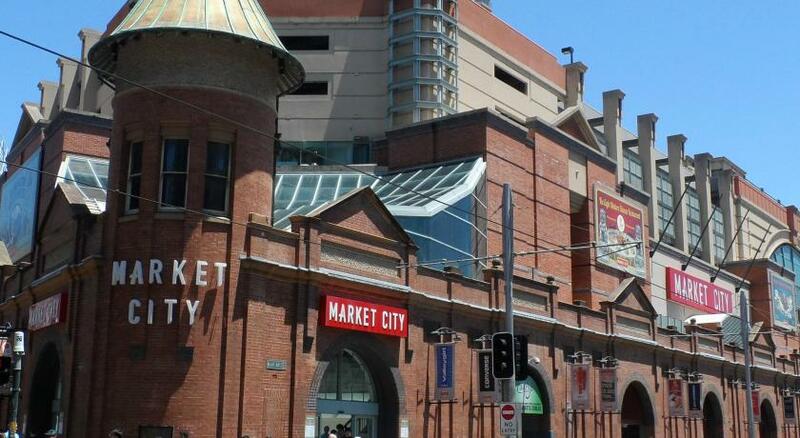 a short stroll to Darling harbour, straight across from Paddy's markets and next to Chinatown, what more would you want? 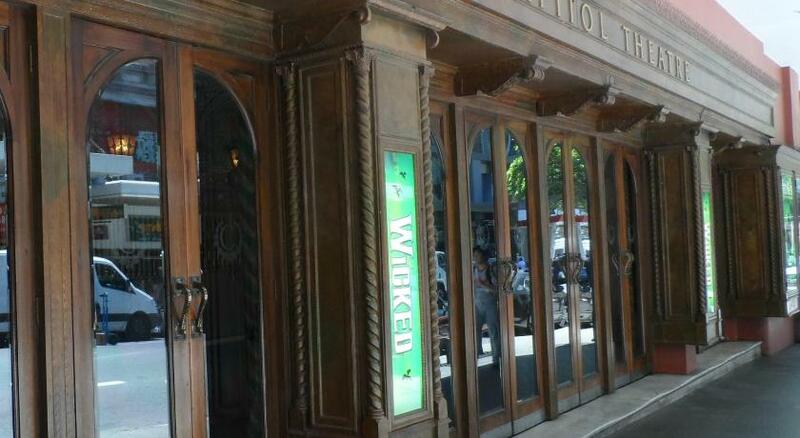 Roomy rooms, choice of hard or soft pillows, large bathroom, super comfy beds., Super clean. Worst hotel ever! They lost my booking and said we don’t have any booking under your name while they dedicated the fee one week before. They said booking didn’t send any details about your booking. Then I showed them my booking and they replied through the booking app and they said okay. They kept us waiting for long time, about 3 hours, to do the check in. High value and bad service. This is basically the worst experience I have ever had with booking. My stay there was awesome. Staff was great. The Paddy Market and Market City were very close. The breakfast Buffett was fantastic! 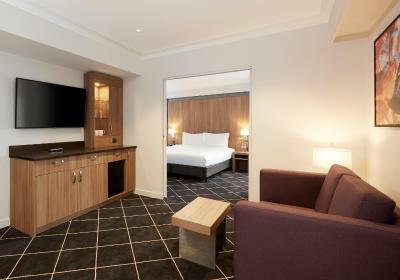 Holiday Inn Darling Harbour This rating is a reflection of how the property compares to the industry standard when it comes to price, facilities and services available. It's based on a self-evaluation by the property. Use this rating to help choose your stay! 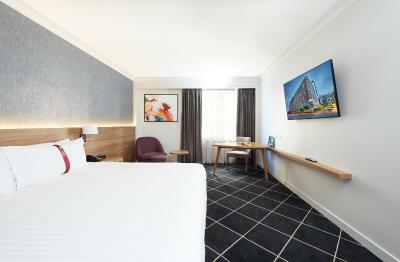 One of our top picks in Sydney.Located in the heart of the popular Darling Harbor entertainment district, Holiday Inn is ideally located for sightseeing, nightlife and shopping. A former 1890s wool store, this property features a free WiFi, a restaurant, a bar, a fitness center, a spa pool and a sauna. Each of the air-conditioned rooms offers a desk and flat-screen TV. Holiday Inn Darling Harbor is within 5 minutes' walk of Chinatown, Paddy's Market, SEA LIFE Sydney Aquarium and the various other attractions and dining options of Cockle Bay Wharf. There are both bus and light rail tram stops within 10 minutes' walk. Shipley's Restaurant is open daily offering full buffet breakfast, while JBs Bar offers lunch, dinner and unique Stone Grill dining. Guests can also enjoy a great selection of local and imported beers, wines and cocktails. All rooms have a mini-bar, tea/coffee making facilities and quality bed linen. 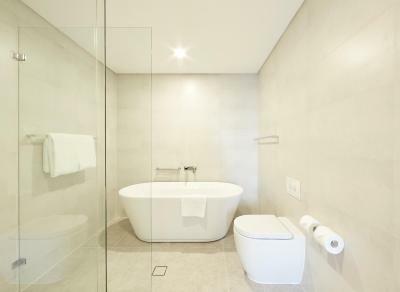 Each room has a private bathroom with a shower, hairdryer and fluffy towels. Guests have access to a 24-hour reception desk and dry cleaning facilities. The tour desk can provide sightseeing advice and help guests with travel arrangements. 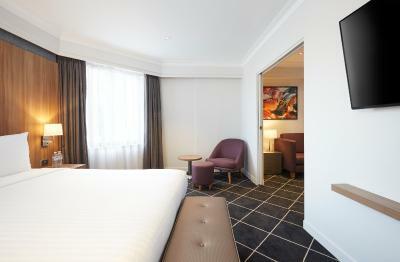 When would you like to stay at Holiday Inn Darling Harbour? This air-conditioned room features a flat-screen TV with cable channels, a work desk and a private bathroom with a shower, hairdryer and fluffy towels. This double room has a sofa, dining area and air conditioning. This suite features a tile/marble floor, air conditioning and mini-bar. This double room has a mini-bar, air conditioning and satellite TV. This twin room features a electric kettle, air conditioning and cable TV. This family room has a mini-bar, air conditioning and flat-screen TV. 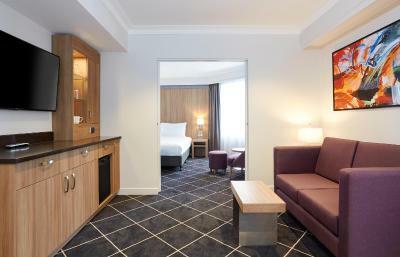 This double room features a tile/marble floor, mini-bar and electric kettle. 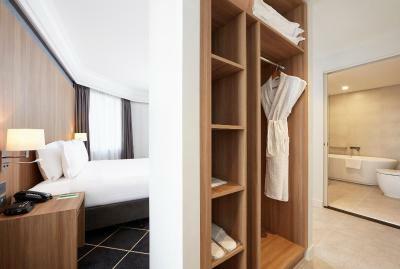 House Rules Holiday Inn Darling Harbour takes special requests – add in the next step! Holiday Inn Darling Harbour accepts these cards and reserves the right to temporarily hold an amount prior to arrival. Please note that from 16 July, 2018 until March, 2019, the property is undergoing refurbishment. Works will only take place Monday to Friday between 09:00 and 17:00. No refurbishment will be done from 23 December, 2018 until 6 January, 2019, inclusive. For more information please contact the property using the contact details found on the booking confirmation. Please note that there is a 3% charge when you pay with an American Express, Diners Club or JCB credit card. Public parking is available nearby at The No. 1 Dixon Car Park and costs AUD 35 per day, single exit only. For more information please contact the property in advance, using the contact details found on the booking confirmation. The hotel is very dated and is in need of some serious TLC to be of a standard expected of the Holiday Inn. When we walked into the room, there was a strong smell, not sure if it was a damp smell or it had been recently sprayed for insects. There was water damage on the ceiling and the movies on demand did not work despite the lovely receptionists attempts to get it going. Breakfast was average and set up in a very cramped area, where you have to dodge other guests and kitchen staff coming out to restock (accident waiting to happen). Once again this was made up for by the friendly and obliging staff. Management might need a little push to pick up their game, the cold face staff are holding this place together. The hotel staff were all very friendly and helpful, right down to the maintenance man who took the time walking past the lift to duck in and press the lift button for us , when he saw us coming. The bed and pillows were like sleeping on a cloud! Room was like a dungeon. very little natural light. However, it was large, clean and quiet. The pluses out weighed the minuses. I asked for a fair view rather than construction site. Since I was my kids first time in Sydney. The room was clean, service was excellent! Floor carpets at lift and corridor were smelly. Breakfast could be more exciting. The location was wonderful, we could walk all about the that part of Sydney. Parking being so far away and needing to walk into the hotel to drop my bags with no assistance until asked. Fabulous that our rooms were next to each other as requested. The rooms were spacious, great pillow selection and plenty of towels. Rooms well stocked Breakfast had a good variety & staff were very helpful and friendly.